OmniBAS™ is a multi-Gigabit smart packet Point-to-Point microwave (PtP MW) solution that ideally fits today's and tomorrow's bandwidth-intensive IP/MPLS transmission applications. OmniBAS™ ideally implements the MW access & aggregation segments of mobile 4G / 4G+ / 5G heterogeneous networks, extends the reach of fixed broadband to rural areas and rapidly deploys IP/MPLS communication and control links for utility companies and governmental agencies. It offers multi-Gigabit IP radio capacity supporting market-leading modulations (4096-QAM) and channels up to 112 MHz, while at the same time enables an evolved and smooth migration to an IP/MPLS architecture. Legacy (TDM/SDH) services are seamlessly transported over Pseudowires with carrier-class reliability and the highest availability. 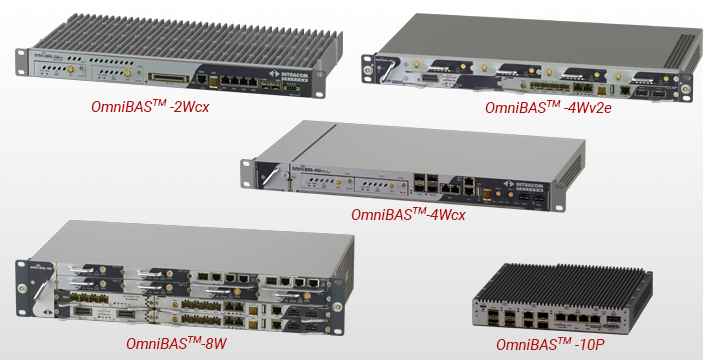 OmniBAS™ allows highly-flexible and cost-optimized link configurations through the use of all-outdoor (OmniBAS™-BX, OmniBAS™-OSDR) and split-mount (OmniBAS-2Wcx) units in tail sites, or through medium/high nodal solutions (OmniBAS-4W / OmniBAS-8W) in traffic aggregation sites, all from the same platform. 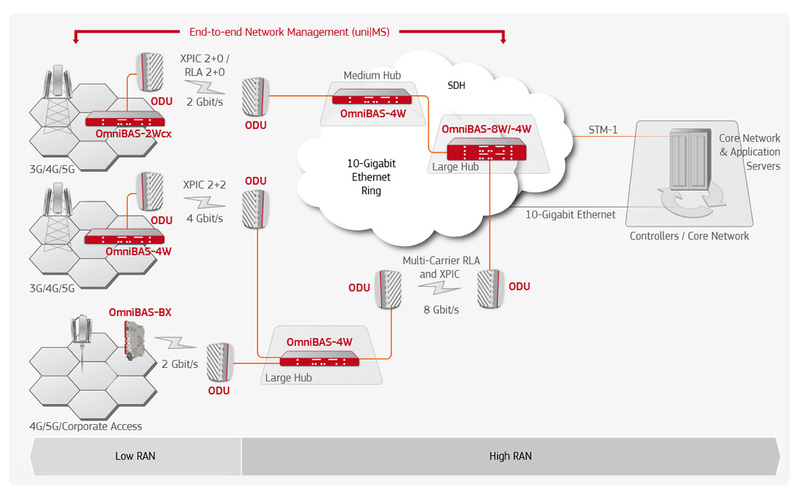 OmniBAS™ CBAN (Converged Backhaul Aggregation Node), in particular, is a unique multi-technology solution allowing aggregation of PtP, Point-to-MultiPoint (PtMP) and E-Band links, and supporting a wide range of connectivity options (E1, SDH, GbE, 10GbE). 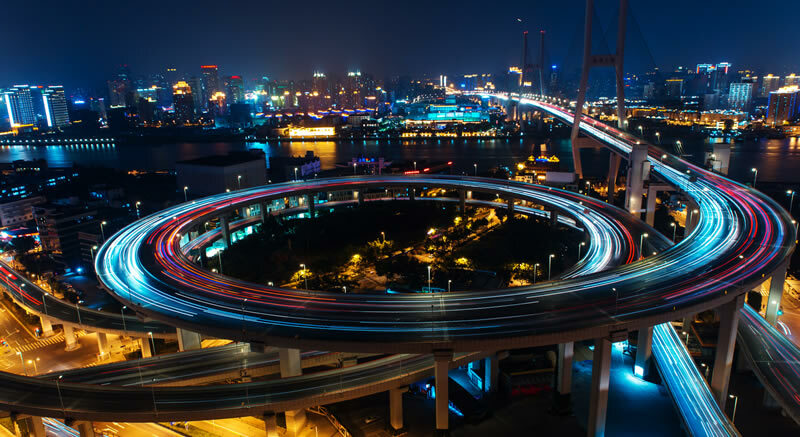 The advanced radio and smart packet networking features of OmniBAS™ products assure bandwidth optimization, carrier-class service delivery and highest-possible availability. OmniBAS™-8W (2RU): unmatched modularity, up to 12 radios from the same chassis, E1 & STM-1 capabilities and full redundancy for control and communication modules - optimized for higher-nodal , XPIC and CBAN applications. OmniBAS™-4W (1RU): modular unit based on OmniBAS™-8W cards, supporting up to eight radios from the same chassis - also optimized for nodal and XPIC applications. Leading full duplex 555 / 1110 Mbit/s radio throughput over a single 56/ 112 MHz channel. Multi-carrier Radio Link Aggregation (RLA) for multi-gigabit link capacity, load balancing among air links, and increased availability. Hitless adaptive modulation (up to 4096-QAM) for optimum bandwidth utilization and lower CapEx & OpEx. Efficient Ethernet OAM (IEEE 802.1ag (CFM), ITU-T Y.1731 (PM) , IEEE 802.3ah (EFM)), for end-to-end management. Two indicative OmniBAS™ deployment examples are shown below. A wide range of last-mile and nodal deployment scenarios can be implemented for mobile backhaul, as prescribed by the IP backhaul agility of the OmniBAS™ product family. Protection and recovery switching within 50 ms. Efficient bandwidth utilization of ring traffic with multiple instances. Automatic reversion mechanism upon fault recovery.